Just About Anything: What's on 161? I love to read books. It relaxes, inspires and enlightens me. 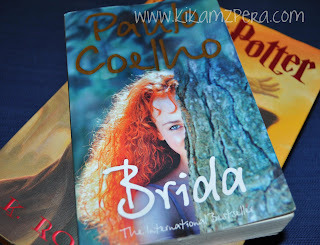 The most recent one I read was Brida by Paulo Coelho. It is about a woman's search for her soulmate and destiny. And it was quite an extraordinary story. And another masterpiece by Paulo Coelho, if i might add. 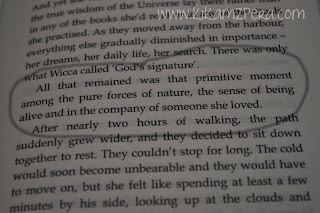 "All that remained was that primitive moment among the pure forces of nature, the sense of being alive and in the company of someone she loved." Her search for her Soulmate entailed a lot of risk-taking. She struggled within herself and as she sought her destiny, she had to find balance between her relationships and her desire to transform herself. She triumphed in the end, though it meant giving up one of her Soulmates. Thanks to XtraordinaryMom Enchie of Sweet Nothings for sending this book tag my way. I am passing this on to all my friends who love to read books. You know who you are!